Withings, a part of Nokia that will soon be rebranded to Nokia, made a special edition of the popular Steel HR watch exclusively for Mother’s Day which is celebrated on the 14th of May (second Sunday in May). There is nothing special about this Steel HR, except the strap is made of fine hazelnut leather, and the price, which is 45€ higher than usual. Every mother would be more than happy if their sons would surprise her with a box of chocolates, ironing set, or just regular Steel HR, but this special edition will bring her more stylish look and feel. I find it a bit odd from Nokia to still push Withings on the watch line of products, even though this version doesn’t differ much from the standard Steel HR, apart from the leather strap. Nokia will soon replace the Withings logo with her own, and mothers that are Nokia fans could be a bit disappointed that their sons couldn’t wait for a Nokia branded one 😊. 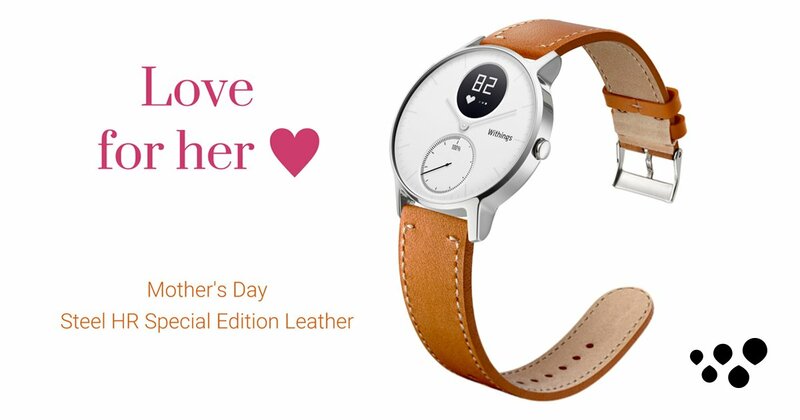 Well, if you would like to surprize your mother with a beautiful Steel HR, visit Withings online store, where you can buy the Steel HR special Mother’s Day edition for 229.95$.